Is the “firmament” of the Genesis creation account “space” or a solid “dome”? Q. In his book Genesis in Space and Time, Francis Schaeffer briefly argues that the word “firmament” in Genesis 1:6 should not be taken to mean a solid dome or brass covering, but is instead best translated as “expanse.” He says it is a fairly broad word that can be understood as “space” or “air” and that the notion that the Hebrews believed that the earth was covered by a solid dome is mistaken. How would you respond? “Some scholars who have tried to minimize the teaching of the Bible have said that the word firmament indicates that the Jews had an idea of a brass or iron covering over the world. But this is not the picture at all. Firmament simply means “expanse.” It is a rather broad word, as we can see from the fact that the firmament is where the moon and the sun and the stars are (v. 14). Perhaps for our generation the word space would be the best equivalent. But it is also the place where the birds fly (v. 20). In any case, the idea that it is merely a hard covering and reflects a primitive notion of a three-story universe is in error. Rather what is being referred to is differentiation in the area of being—a differentiation of the openness that is about us.” Francis A. Schaeffer, Genesis in Space and Time (Downers Grove, Ill.: InterVarsity Press, 1972), p. 37. The Hebrew term in question is the noun raqiya’. It is derived from the verb raqa’, which means to beat out, stamp, or spread out a solid object, usually metal, to make it thinner, flatter, and broader. The verb is used, for example, in the description in Exodus of the construction of the tabernacle: “They hammered out gold sheets and cut them into threads to be woven in with the blue and the purple and the scarlet material.” Similarly in the book of Numbers, the bronze censers that were used by some rebellious Israelites to challenge Aaron for the priesthood were “hammered out to overlay the altar.” And Jeremiah speaks of “hammered silver” that is used in the construction of idols. So if raqa’ means “to beat out, to flatten” (and thereby “to extend”), then raqiya’, by derivation, means “an extended surface (solid),” as the Brown-Driver-Briggs Hebrew-English Lexicon defines it, or “a beaten (metal) plate,” as Holladay’s Concise Hebrew and Aramaic Lexicon puts it. Other biblical writers, using the further synonymous verb natah, say that God has “stretched out” the heavens. Isaiah, for example, describes God as “the Creator of the heavens, who stretches them out [natah].” Jeremiah says similarly that God “founded the world by his wisdom and stretched out [natah] the heavens by his understanding.” In some cases the biblical writers compare the “stretching out” of the heavens to the unfolding and spreading out of a tent or canopy (a metaphor drawn delightfully from their former nomadic culture). Describing the creation, for example, Psalm 104 says, “The LORD wraps himself in light as with a garment, he stretches out [natah] the heavens like a tent.” And so forth. But what about Shaeffer’s claim that the “firmament” in Genesis can’t be a solid object, but must be an “expanse” of space or air, because it’s “the place where the birds fly”? In the creation account God actually says, to translate the Hebrew literally, “Let birds fly above the earth on the face of the raqiya’ of the heavens”–in other words, in front of the dome of the sky, that is, in the space between it and the earth. Then what about the heavens as the place “where the moon and the sun and the stars are”? There’s no question that the Genesis creation account says that these are in the raqiya’ of the heavens. But I take this to mean that they were envisioned to on its solid surface, moving around there. So do these conclusions minimize the teaching of the Bible, since we know today that the sky is not a solid dome? Not at all. They simply show that the biblical authors wrote consistently from within an observational cosmology. We should have no more problem with their idea of a solid sky than we do with their notion that the sun moved around the earth, even though we know today this only appears to be the case and it is actually the earth that is moving (revolving). 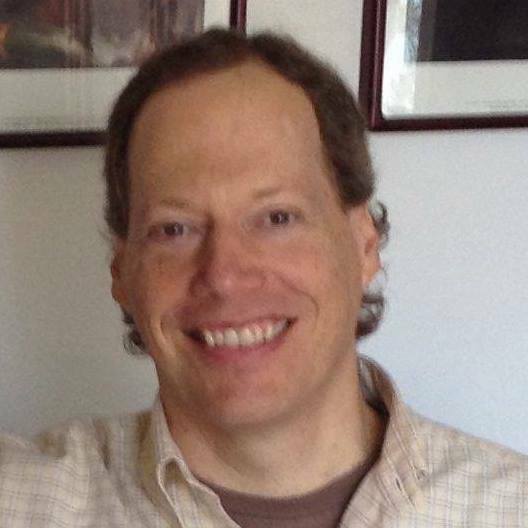 When we accept that the biblical authors were not supernaturally given a knowledge of cosmology that transcended the understanding humanly available in their own place, time, and culture, we can recognize their statements as accurate within that understanding, and we appreciate the points they are trying to make about God as creator and about creation as an ordered and harmonious whole–points that are still perfectly valid and well taken within our own understanding of cosmology, which is itself culturally bound and limited. 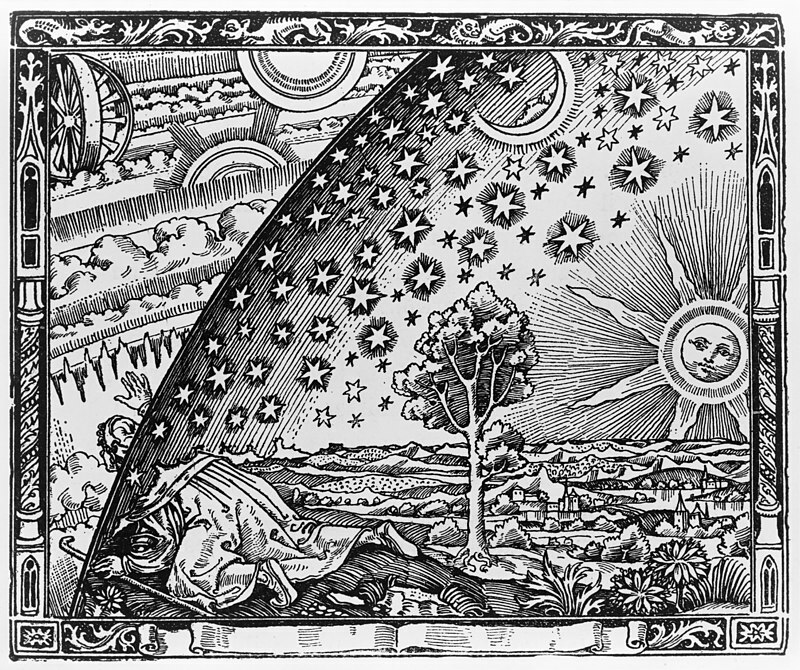 The so-called Flammarion engraving, thought to be intended to illustrate an ancient cosmology that included a flat earth bounded by a solid and opaque sky. I agree. I also wonder if in this case firmament is used to describe a tangible, spatial difference between here (where the birds fly) and beyond. You’re right, except that in the case of the Genesis account, what lies “beyond” the firmament (the visible sky) is not outer space, but water! “God made the vault [raqiya’] and separated the water under the vault from the water above it.” Genesis envisions God creating a habitable space within the watery primeval chaos by first establishing a shelter under a solid dome and then moving the waters beneath the dome aside so the dry ground could emerge. Not our modern cosmology, but still a picture of God making an ordered and habitable creation. I agree on the implied ancient cosmology, but I have seen some that simply cannot accept it, since it asks them to fundamentally change the way they read the Bible. 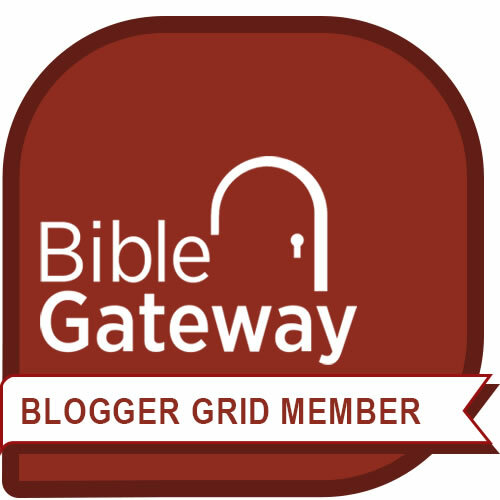 Previous Previous post: Why did God give Nebuchadnezzar so many chances? Next Next post: Was Ruth inviting Boaz to contract a marriage by consummating that marriage?